Your Class Guru shows you all upcoming classes with the teachers and studios you follow, laying out your personal yoga options for the coming days or weeks in a simple way. Whether your teachers work at different studios, or you like to go to several places for your yoga, planning your own yoga schedule is a breeze. No more sifting through lots of schedules on different websites or Facebook pages just to find out what your yoga options are for a given day or week! 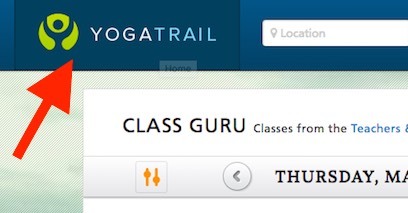 To get to your Class Guru, simply click the YogaTrail Logo in the header (if you're logged in to YogaTrail). You can also click anywhere you see a "Home" link. When you follow a teacher or studio, you get all their classes by default. You can follow as many teachers and studios as you like, but in some cases that can be overwhelming... so you can narrow things down by filtering your view. 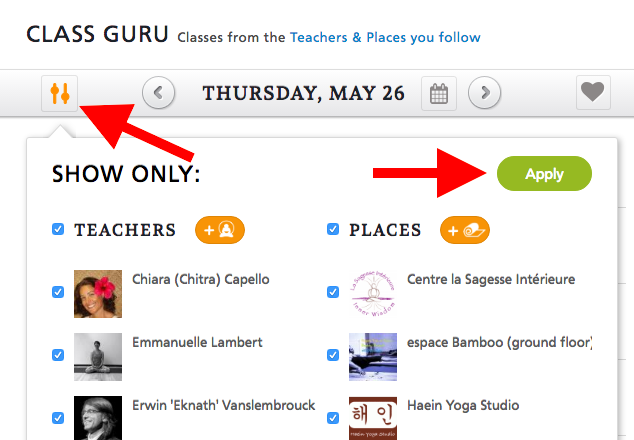 To add or remove teachers or studios from your list of followees, you'll find a link near the top that takes you there. 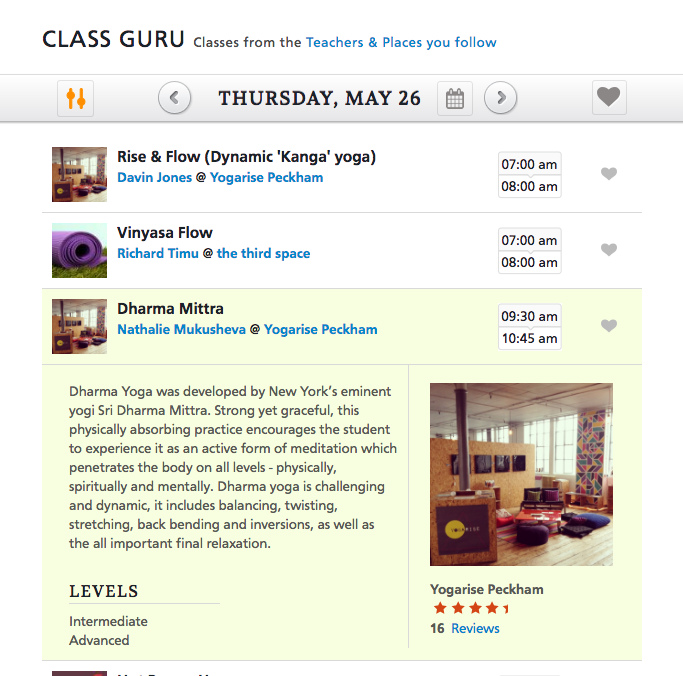 Your Class Guru also carries over to the YogaTrail Mobile App. 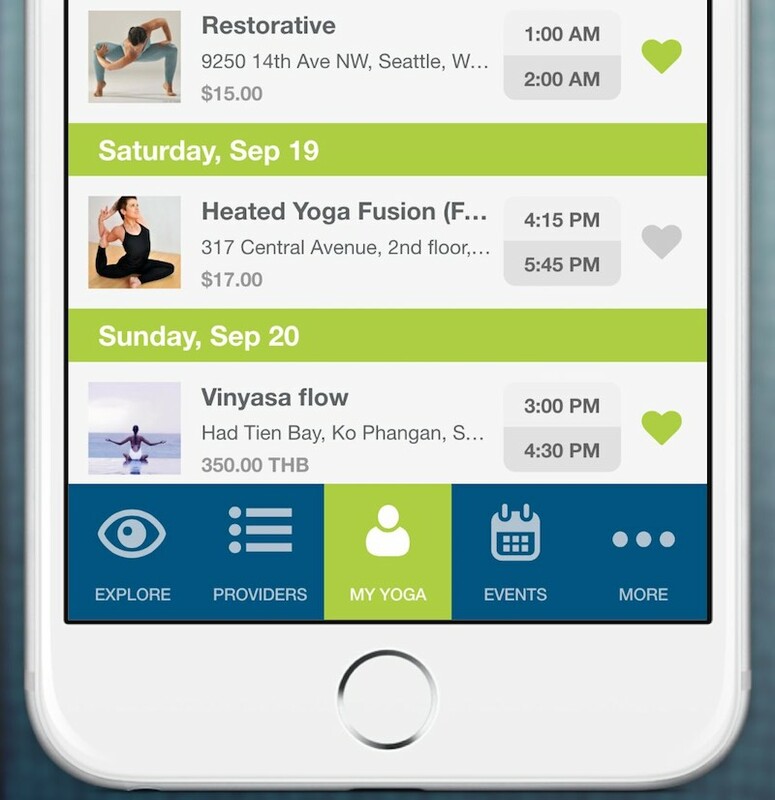 The app is freely available for both iPhones and Androids, and it's very handy for keeping up with your personal yoga world while you're on the go!